The Volkswagen Golf was the most popular car model in Germany in 2011. The VW Passat and VW Polo were also at the top of the list of best-selling car models. 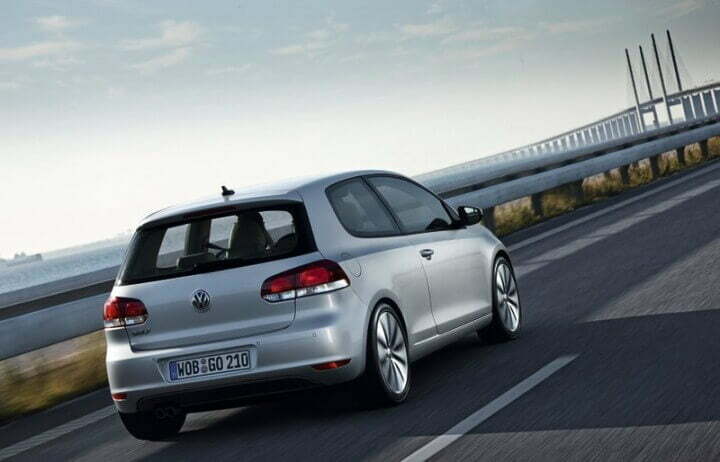 In 2011, the Volkswagen Golf was for the twentieth consecutive year the most popular car model in Germany. It was followed by two further Volkswagens – the VW Passat and VW Polo. The Opel Astra was the fourth and Mercedes C Class the fifth cars on the list of best-selling car models in Germany in 2011. There was little change in the composition of the top-ten list of most-sold cars in Germany in 2011 compared to a year before. For the twentieth consecutive year, the Volkswagen Golf was Germany’s favorite car – in 1980, the Mercedes Benz W-123 outsold the Golf. The VW Golf (including Golf Plus and Jetta models) sold 150,000 more cars than the second place Passat. The VW Passat, which had a fairly small model update, improved the most to increase sales by over 50% and to move from seventh place last year to second. As a result, the VW Polo, Opel Astra, and Mercedes Benz C Class all slipped one position. New entrants on the top-ten list of best-selling car models in Germany in 2011 are the Ford Focus (12th last year) and the BMW 5 Series (16th in 2010). The most popular imported cars in Germany in 2011 were the Skoda Fabia and Skoda Octavia at 16th and 17th positions overall on the list of best-selling car models in Germany in 2011. The Mini was 22nd. Both manufacturers are German owned – Skoda is part of the Volkswagen Group and Mini is in the BMW Group. The only other imported cars on the top-30 list of best-selling cars in Germany were the South Korean Hyundai i30 (+7.2%) and Japanese Nissan Qashqai (+35.2%). Skoda was the top car importer into Germany in 2011 while Hyundai became the first South Korean car manufacturer to have entered the top 10 list of most popular car brands in Germany in 2011.